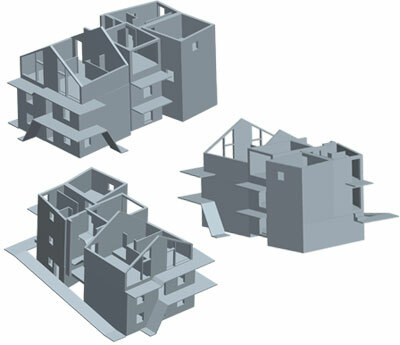 This model was created as a design concept for the house conversion. During talks with an Italian architect the model was adjusted until a final design was proposed and accepted. I am now involved in the renovation and furthering my construction skills.